Saving for retirement is a top priority for many employees. However, while having a hefty savings account can be beneficial for retirees, it is often not enough to live comfortably. Participating in a 401k retirement plan is one of the best ways employees can prepare for retirement with help from their employer. A 401k acts as a savings and investing plan sponsored by employers. It allows employees the opportunity to invest a small portion of their paycheck before taxes are taken out. There are two main types of 401k plans: traditional and non-traditional. Traditional 401k retirement plans are generally employer-sponsored plans that give employees various investment options. To contribute to a 401k, an employee designates a portion of each paycheck to an account. Contributions are made before taxes are deducted. Taxes on the contributions and earnings are not paid until the money is withdrawn from the account at retirement. As a benefit to employees, many employers match a portion of an employee’s contributions. Any taxes on these matching funds are also deferred until the money is withdrawn from the retirement account. When deciding between a traditional 401k and a non-traditional 401k, you will want to consider the tax differences. 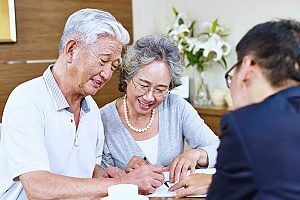 Many people make their decision based on their anticipated future income and if they will likely be in a higher or lower tax bracket at retirement compared to where they are now. For those who believe that their tax rate will be lower when they retire, a traditional 401k is often best. That way, they can avoid paying taxes on contributions now when their tax rate is high. 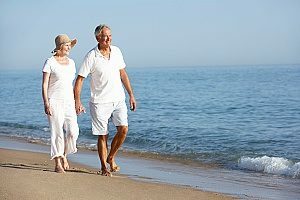 When money is withdrawn at retirement between the ages of 60 and 70, any applicable income taxes can then be paid at a lower income tax bracket. There are a number of advantages to choosing a 401 retirement plan. First, withdrawing money early is not easy. While this may seem like a disadvantage, it can actually be a major perk. It can be highly tempting to take your retirement money early on to pay off debt or make extravagant purchases. However, this leaves you with little to no retirement funds. Withdrawing from a traditional 401k early comes with major penalties which deters many people from doing so. Another major benefit is that the funds are automatically deducted from your paycheck so you will not miss them and you will not forget or neglect to make contributions. The most common type of non-traditional 401k plan is known as a Roth 401k. In a Roth, money from your paycheck is contributed into an account just like with a traditional 401k. However, the main difference is that the contributions have already been taxed. This means that once inside the account, the money continues to grow tax-free and is not subject to any taxes when the funds are withdrawn at retirement age. Despite the various benefits of Roth 401ks, you will end up paying roughly the same amount of tax whether you put money into a Roth 401k or into your own personal bank account. There are limits for both traditional 401k and Roth 401k contributions. In 2018, the maximum you can contribute to either type of 401k is $18,500. If you are over the age of 50, you can contribute an additional $6,000 each year. Similar to a traditional 401k, employers can choose to also contribute to employee accounts to help build up retirement savings. Employer contributions may be in the form of matching contributions or profit-sharing. Contributions made by employers are usually pre-tax contributions. While a Roth 401k is a great option for some people, it is not right for everyone. As a general rule of thumb, if you believe that your income tax rates will rise in the future, Roth might be a good option for you. This could occur if legislation results in higher rates causing you to pay taxes at a higher rate even if your income remains the same. It could also occur if your income increases which would move you up in the tax brackets. It is also important to note that Roth 401ks require you to begin taking minimal distributions by age 70.5. If you like aspects of both traditional 401k retirement plans and non-traditional 401ks, you can choose to invest in both. As you can never be sure what your tax rates will be like in the future, diversifying with contributions to both types of 401k plans can help maximize your retirement savings. For more information about 401k retirement plans or how to set up a 401k, contact a retirement plans consultant today.